* $50 INITIAL EXAM: If you decide to join, the $50 exam fee will be applied to your membership. 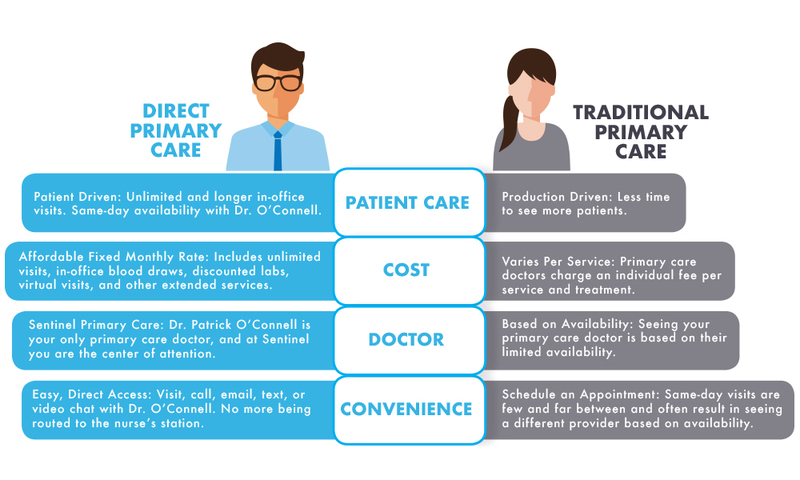 Our relationship-based direct primary care model provides substantial savings, along with more access to and more time with your doctor. Whether you require acute, chronic or preventive care, these services are included in your affordable monthly membership rate. Receive top-notch primary care from an experienced doctor. Initial visit fee $50. Save time and start your new patient forms here. We serve those in need, we reserve a portion of our patient spots for those without insurance, charging only a few dollars to give the same concierge care as to our paying members. 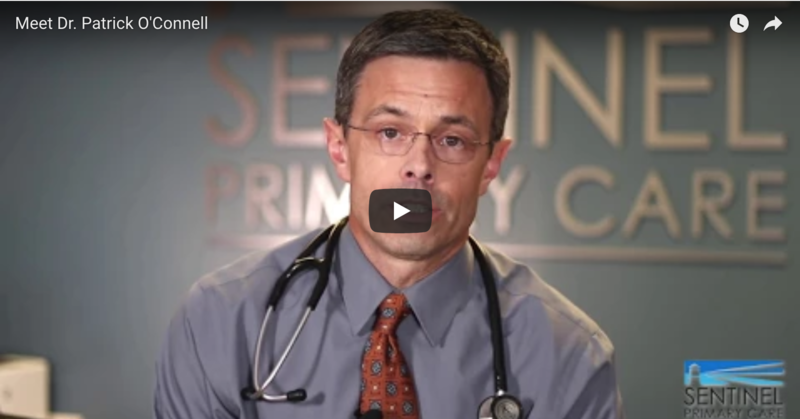 Sentinel Primary Care provides patients with personalized and affordable primary care in Raleigh. As a member, you receive a full range of top-notch comprehensive care including on-site labs, specialty referrals, and continuity of care. “Dr. O’Connell always takes the time to hear my concerns and allay my fears regarding my own medical care. He focuses on preventing problems and proactively promoting health, using evidence-based and individualized care. When problems do arise, Dr. O’Connell steps up and directs me appropriately.” – Paul P.